Adjoining the Half Moon Penny Arcade you’ll find the HALF MOON BUMPER CARS. The bumper cars are full size and can carry a grown-up and a child in the same car. 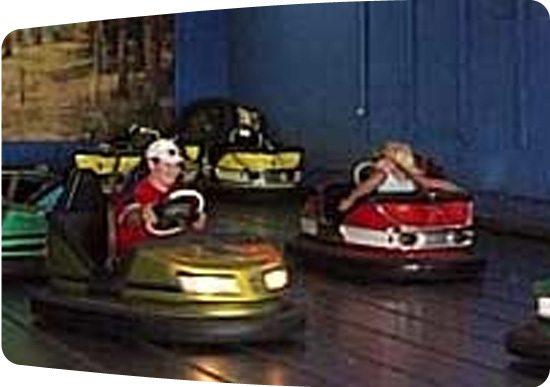 Unlike the bumper cars you might be used to, these modern bumper cars pick up their energy from the floor, and don’t have unsightly rods extending to the ceiling. Push pedal & turn wheel. Turn wheel all the way to go backwards. Children MUST wear seat belts. Keep hands & feet in the car at all times. Stay seated in car when cars in motion. Only two to a car. Children must be 4 feet tall to ride alone.